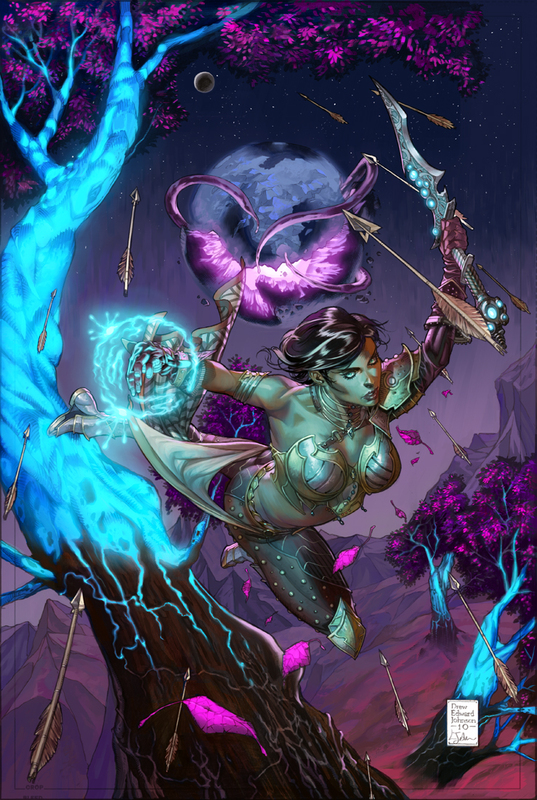 Trion has released the cover images for Telara Chronicles #1 and #2, both by Drew Johnson. The first cover depicts Asha Catari against the backdrop of a Death Rift, surrounded by a bunch of nasties. Really gorgeous image! Up next is the cover for Telara Chronicles #2. Also by Drew Johnson. This time, Asha Catari is in a limbo-like area known as the Shadowlands. I think Drew made a really compelling cover with this one!